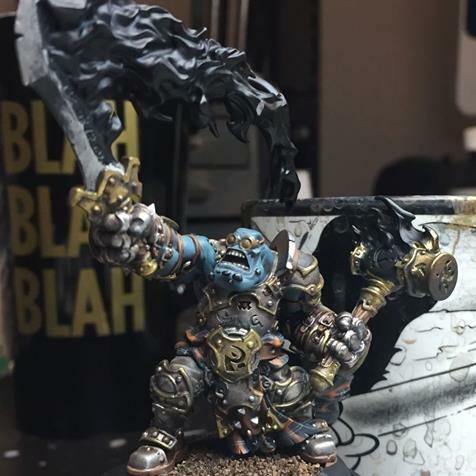 This entry was posted in Circle, Fyanna, Horgle, Legion of Everblight, Podcasts, Skorne, Trollbloods, Una, Zadeesh and tagged Hordes, IABN, Mad Dogs are a problem I suppose, New Journeymen, New Warlocks, WarMachine by Marx. Bookmark the permalink. It seems like everyone keeps worrying that Reckoners are immune to Horgle’s feat. But Reckoners also can’t shoot anything in Horgle’s entire battleground with their gun… Seems like a fair trade. I suspect that Horgle just won’t be your Menoth drop. And that’s perfectly okay.